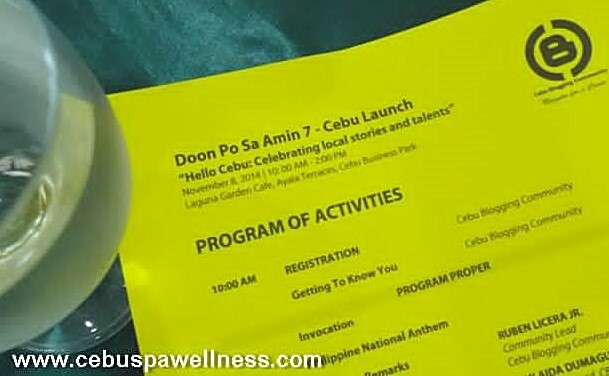 Smart Communications launched their “Doon Po sa Amin” community meetup with the local bloggers and digital influencers here in Cebu last November 8, 2014 at Cafe Laguna Garden Cafe, Ayala Center Cebu. The telecommunications giant collaborated with the Cebu Blogging Community, a network of Cebu-based bloggers and digital luminaries (which I am thrilled to be affiliated with), to roll out this special event in the Queen City of the South. This campaign is a crowd-sourced online community mapping initiative that encourages all Filipinos to be their own hometown ambassadors. This meetup was aptly themed “Hello Cebu: Celebrating local stories and talents” to celebrate the finest things about what makes Cebu unique: it’s grandiose history, delectable flavors (believe me we’re more than just lechon), must-see destinations, vibrant culture and interesting locals. Indeed, there are so many stories to tell about our place–its name, history, food and cultural events. He goes on to say that all too often people forget to share their stories; perhaps because they have lived there all their lives and there’s nothing new or exciting to talk about. And yes, I am guilty of that. Having lived in Lapu-Lapu City since I was born, all I can see now in this island city are nothing but monstrous traffic jams, archaic bridges, corrupt local government officials, and dirty environment wherever you go. Ka Bino’s answer to those people with a love-hate relationship with their hometowns (like me) was to “see your place on a different perspective” and be open-minded. He meant to say that I should try seeing my place with enthusiasm and excitement of a tourist and not as local; to find something special and different everyday. I should try to do that next time. 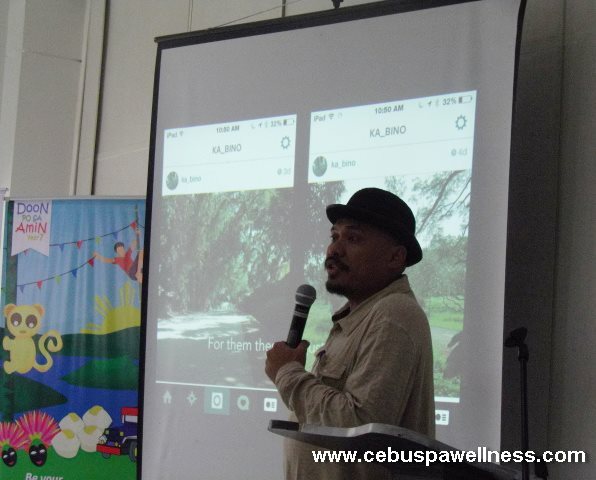 Boboi Costas, an advocate of community-based sustainable tourism shared his thoughts about making Cebu as an Ecotourism hub of the Philippines. He helped Aloguinsan rise from being a sleepy river town to an esteemed model of ecotourism. The entire community was able to increase their source of income by becoming the stalwarts of their own natural resources. 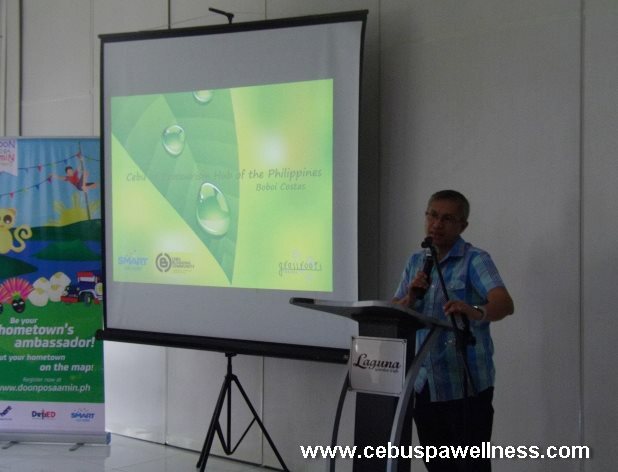 Boboi also added that the essence of ecotourism boils down to education. Teaching residents on how protect the natural environment should be foremost on their agenda; and leisure comes only second. His stories has inspired me so much that I want to go to Aloguinsan and watch how the town did it. I think every aspiring ecotourism town should visit and listen to them. The afternoon was highlighted by brilliant presentations on the of power of digital tourism by Max Limpag, embracing microadventures (it’s the first time I heard about this) and other exciting campaigns launched by SMART such as SWEEP, which aims to improve technology and engineering education in the Philippines. Going home after the seminar, I just realized how little I know about my place. 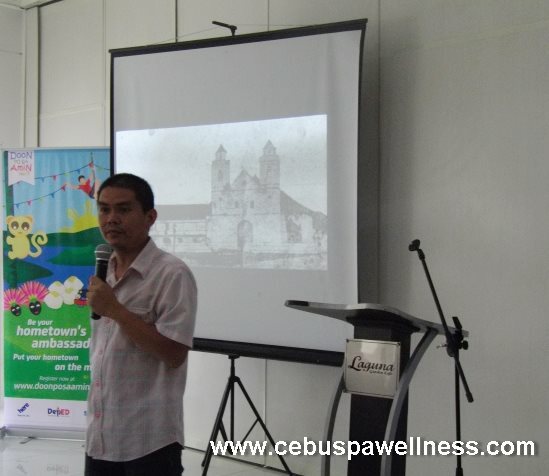 It was naive of me to think that I knew everything there is to know about Cebu–my beloved birthplace. This meetup has proved me wrong. Hmmm…The question now is, where do I start? What more do I want to discover about my crib? How should I tell my side of the story? Dear friends, if you have any suggestions, let me know in the comments below. Previous story What is Ventosa Cupping Therapy?